Nissan QASHQAI 1.3I 140 N-MOTION NIEUW!!! Nissan QASHQAI 1.3I 140 N-CONNECTA DESIGN PACK NIEUW!!! Nissan Micra IG-T 100 N-SPORT CVT NU MET GRATIS AUTOMAAT!!! 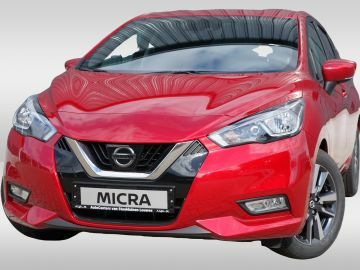 Nissan Micra IG-T 100 TEKNA CVT NU MET GRATIS AUTOMAAT!!! Nissan Micra IG-T 90 N-WAY 5DRS. NU MET € 2.500,- KORTING!! !